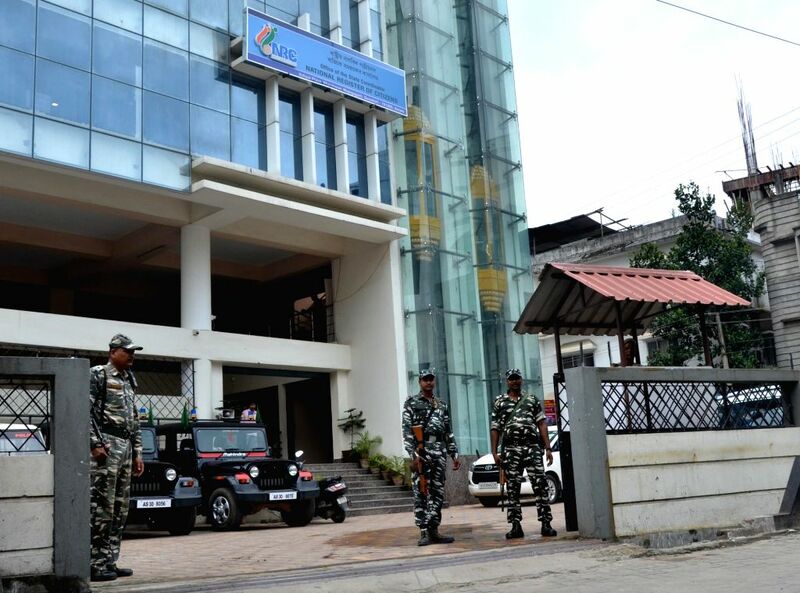 Guwahati: Security beefed up outside National Register of Citizen (NRC) state coordinator's office ahead of publication of the draft NRC in Guwahati on July 29, 2018. The Assam government have drawn up elaborate plans to ensure that there is no law and order problem across that state after publication of the document. The government will publish the draft NRC at 10 am on Monday and the people of the state can check their names through different websites after its publication.